The first three tracks are all one song that you’ve probably heard. It is the track “Pi4” from those demos again. As each part of the song starts to really build and create a crescendo, the song fades out and the next track picks up 10 seconds down the song. It’s still very interesting and listenable, but I do wish the track came as a whole and showcased those top moments that get lost in transition. The album does take a bit of a turn though at its fourth track, opening up a different sound. Let’s have a test: based on that track’s title, do you think you may know what it is? The song is titled, “What’s left in you.” Now, if you were keen enough to recognize the lyric, or scanned ahead just a bit, you’ll realize it is another version of “Sea is Rising.” This version is 100 percent the track from the demo songs, just with some extra bleeps and bloops added on top. 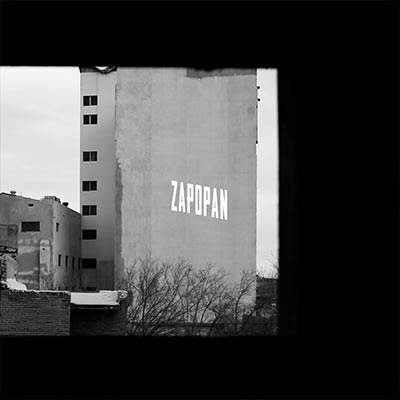 It’s still a great song and does its job in opening up the soundscape of Zapopan. Let’s get back to that Noctourniquet quote though. There are tracks littered through Zapopan that feel as if they belong next to “The Malkin Jewel” on some strange lost EP. “Spell Broken Hearts,” which is by far my favorite track and houses the most adorable Omar yelp, has that very distinct krautrock sound. If you told me it was a lost B-side, I’d totally buy it, no questions asked. The same goes for ways for “Harboring a Sadist,” though it may require a little more of a stretch of imagination to believe it. So this album most likely has properly mixed versions of Happiness, Sea Is Rising, and Spellbound? Sign me up. Sounds like the culmination of his synthy 2010 material. Throw in a couple more re-mixed tracks from Unicorn Skeleton Mask and this could be the best album of the twelve. Spellbound? I'm gonna say no to that one until next year. (Edit: read it again so maybe he just changed the title). Same with the 2010 live tracks. This kinda proves the point that those records like Saber, Unicorn, Solo Extrano were more like rough idea/demo records for Omar to toy around with. And then some of these records were made shortly after once he ironed them out a bit. I hope it has clear "Names" and "Storm Shadow". I feel like this to "USM" is like "El Bien" to "Escorpion". Really excited for this one since USM is my favorite album. Do you guys think we will get a couple of more versions of "Sea Is Rising" in 2017? Maybe he's unaware of the Bladerunner and Neo dub jams. I mean he didn't seem to remember that the El Bien songs came from Escorpion, so it's possible. He's also more into accessible Omar and kinda wrote off some of the Cell Phone Bikini material. So I kinda have high hopes for the last two in this series. This doesn't prove anything. I think the opposite of what you said is true. My suspicion is what was released 1st was done so intentionally. Escorpian is a fully fleshed out album and many ppl here consider it to be top 5 Omar. El Bien is awesome but it doesn't sound fully realized the way Escorpian does imo. Most of the new albums are mixed really well so a lot of ppl already think musically they're superior to his older stuff, specifically the albums you mentioned because they aren't mixed very well. The new stuff is solid. It definitely adds another layer to everything we already have from O. But I don't think any of it is better than his old stuff. If anything the new records give me that demo vibe with how short they are. i assume no one still knows where the hell the new version of "spellbound" came from? "Spell Broken Hearts" on this album sounds like it could be the new version of Spellbound. Yeah but how it get leaked? The cover is the kind of stuff that could be projected during a Godspeed You! Black Emperor live, totally fits their "black & white eerie landscape or building" theme.